Nioh, developed by Team Ninja/Koei Tecmo and published by Sony Interactive Entertainment, is an action RPG for the PlayStation 4 set in a fictionalised version of Japan’s Sengoku period at the height of the civil war, during this war yokai (demons) are flourishing in the chaos the war created. 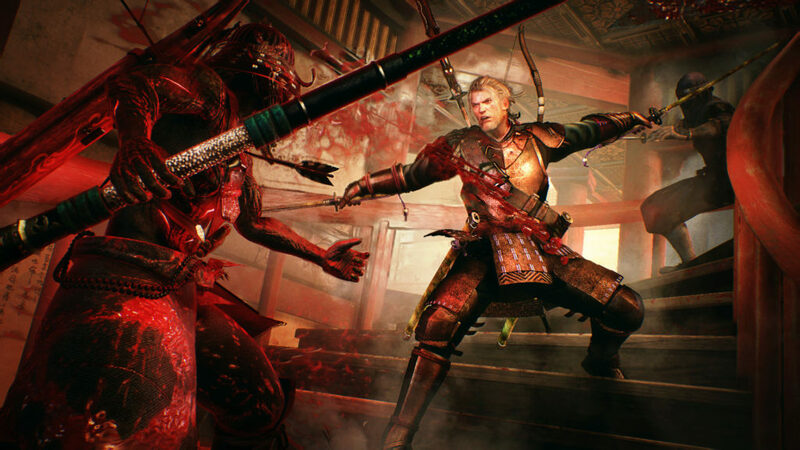 Nioh is without a doubt the most difficult game I remember playing, as the gameplay is very much inspired by the Dark Souls series, with any mistake no matter how small proving costly. The game has you constantly evaluating how you approach any situation, as the game likes to put you on the defensive with combat involving studying your opponent’s moves and waiting for the perfect time to strike. Although, be warned there is a strong chance an enemy will come out of nowhere and kill you. In Nioh, death has consequence as death means you lose all the experience you earned from your current life to death. Speaking of experience, the experience points you earn are called Amrita and are the main motivator in the story. In Nioh, you play William a pirate who was instructed to gather Amrita in order to defeat the Spanish Armada laying siege to England. When you enter the game, the Spanish Armada has been defeated and you are considered surplus to requirements and left to rot in the Tower of London. Upon breaking out you overhear a conversation involving Edward Kelly – an alchemist – who says they are pushing for more Amrita, which can be most easily found in Japan as death gives the Amrita its power. While attempting to escape with what he learned, Kelly finds you and uses a piece of Amrita to transform an executioner into a yokai, but after successfully kill the demon Kelly steals Saoirse, your spirit guardian who can detect Amrita. Following the Tower of London, you go to Japan in an effort to find Edward Kelly and free Saoirse, but while in Japan, you are thrown into its civil war with you allying with Tokugawa Ieyasu as he agrees to help you defeat Edward Kelly and the yokai that assist him. Now as I said the gameplay is very much Dark Souls inspired, especially with its unforgiving and reactionary focused combat. To make the reactionary nature of the combat work you are given three stance types: high stance, mid stance and low stance. These stances help determine your play style with high stance being the most aggressive and low stance being the most defensive. Personally, I mostly used low stance as it allows you to be conservative with your Ki. Keeping an eye on your Ki gauge is important as defensive and offensive actions do drain it, and if it is fully depleted you are vulnerable to attack, and in a game were normal enemies can kill you, it is best advised you keep an eye on your gauge. What you wear is also very important as the game uses a weight capacity system, with heavy items slowing your character down and making it difficult to dodge attacks. Armour, as well as weapons, have an RPG style rarity scale with common, uncommon, rare and exotic equipment, along with the rarity scale each piece of equipment has a set of secondary skills that include + damage certain enemy types. Now since the game has RPG elements, there is a levelling system. Levelling in Nioh involves going to a shrine and turning in the Amrita, you collected during a mission. Successfully levelling up allows you to raise one of your base stats by one level. You can also acquire skill points, which are used to unlock skills for your melee and ranged weapons. Now I’ve focused a lot on combat, but what else is there say about the game. Well, the mission areas are themselves a challenge with numerous twists and turns that are designed to confuse players, especially when the game likes to throw in multiple paths to a location, with one path being filled with normal enemies and the other infested with yokai. To add to the confusion you aren’t provided with a map of the area, only a mini map, which points you in the general direction you need to go. The mission area also contains red corpses, which are other players who died when undertaking the mission, approaching one allows you to see how they died or fight them. Once you leave a mission by finally defeating the mission boss, you visit your starting point or hub map. The hub map gives you access to a shrine, blacksmith, dojo, Tori Gate and storehouse. The shrine allows you to level up and change spirits, the blacksmith allows you to sell/buy items and access the forge or disassemble equipment, the dojo is for practice/training, the Tori Gate allows you to access the online mode, and the storehouse allows you to store items. Moving onto my issues with the game, I found that the camera liked to wander as I found myself wrestling with the camera controls. The game also lacks a difficulty slider, which means if you are struggling with a boss, you will essentially be running at it until you stop playing out of frustration or kill it. Regarding graphics, the game has multiple modes, which means players can choose to have a stable frame rate, a stable resolution at a frame rate at 30 FPS, or a stable resolution with variable frame rate. In terms of audio, there is a mixture of English and Japanese, I like the reasoning for having Japanese as it makes the game feel more authentic, and don’t worry you don’t need to learn the language as the Japanese dialogue is subtitled. Nioh is an unforgiving game, with the slightest lapse in judgement potentially proving fatal. However, while the unforgiving nature of the game is a strong selling point, I don’t see it having a wide appeal. 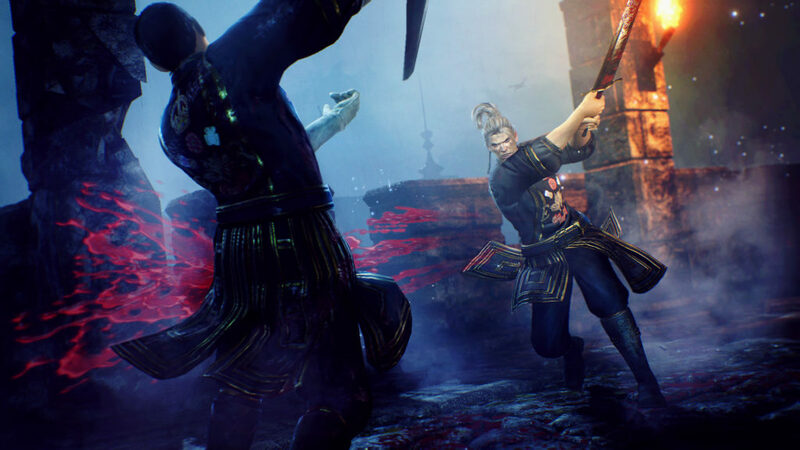 For more information on Nioh, visit https://www.playstation.com/en-ie/games/nioh-ps4/.